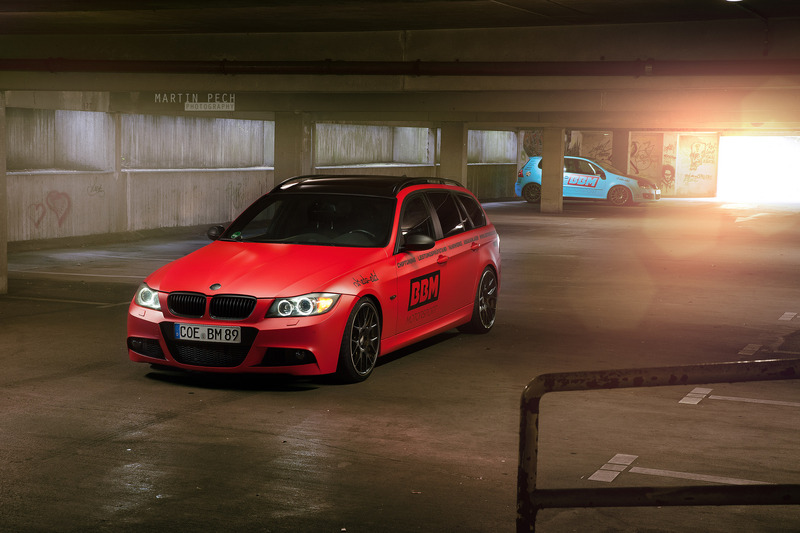 One example of the work of BBM technicians is the project vehicle E91 330d shown here. It was namely pushed to a performance of 274 horse power and a maximum torque of good 859 Newton meters (standard series is 231 horse power / 520 Nm) using a BBM chip tuning system that was developed on the basis of the company's own Dynojet 224xLC performance test platform. 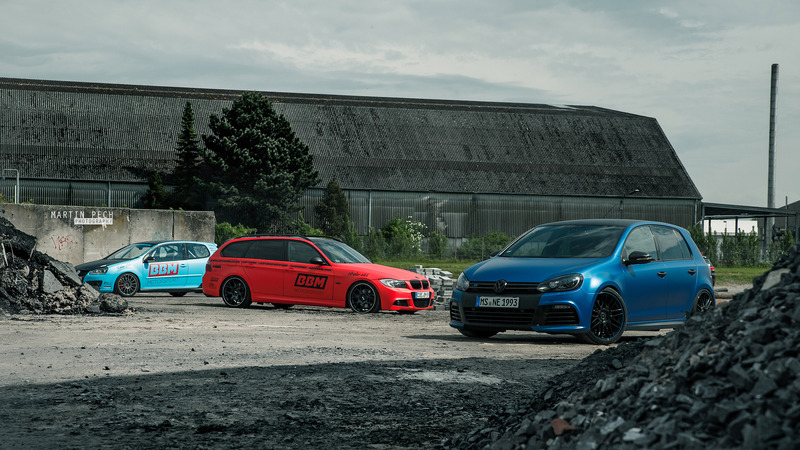 In addition to software optimisation, a decisive share of the power boost can also be attributed to the complete Supersprint exhaust system as from the Turbo version and the Pipercross air filter. 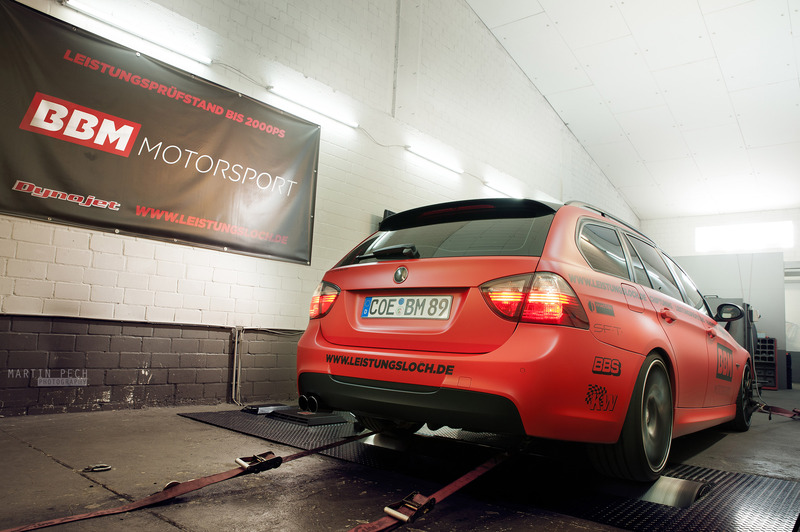 The BMW station wagon was fitted with a KW Street Comfort coilover kit for a convincing long distance comfort to facilitate a spinal disk-friendly drive also in combination with the 8x19 and 9x19 inches BBS CH-R rims and the 225/35 and 225/30 tyres. 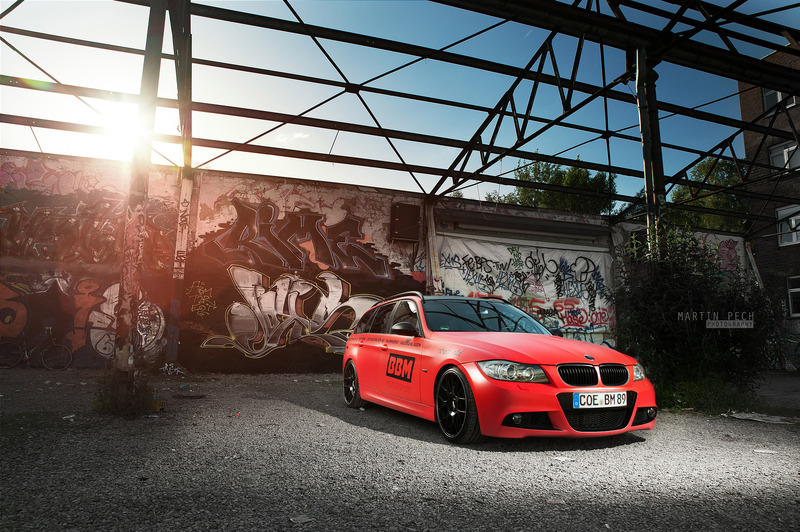 Of course, such a project vehicle should also be able to attract attention – a reason for SFT Carwrap from Ibbenbüren to give it a "somewhat" conspicuous look: The full wrapping with matt red foil highlighted in matt black makes the Touring a real eye catcher! 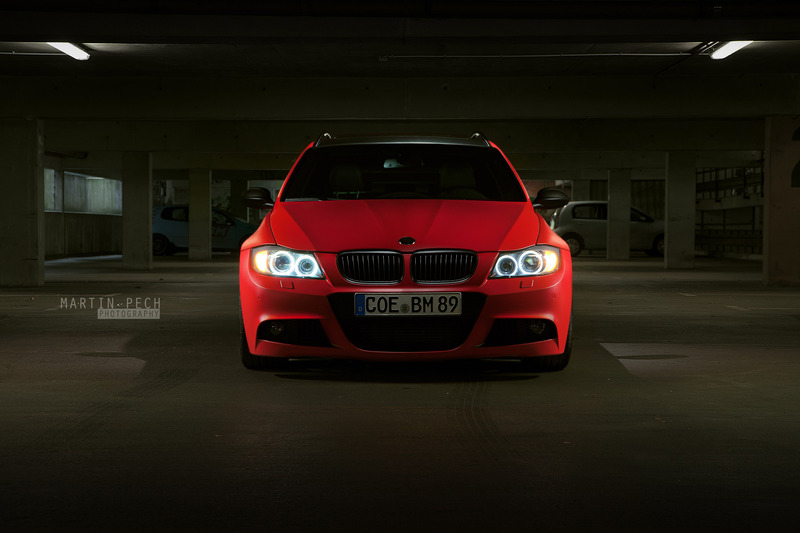 To match the general colour pattern, the BMW emblems and the side markers were tinted in dark shade. Even the interior strips were adapted to the look of the exterior with matt red wrapping. FM-Coding from Telgte also endowed the three-series with a pair of electrical and electronic goodies: It now has side markers and daytime running lights, a digital speed display system and a comfort eject function, which automatically ejects the car key as soon as the "Engine off" button is pressed.